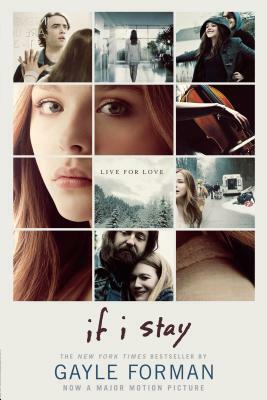 If I Stay was a book that I was excited to read, however I feel that it was a disappointment. Don't get me wrong, it was poignant and romantic, and near the end it did keep me on the edge of my seat, but really, I couldn't help but feel like something was missing while reading it. First let me start with what I liked about it. Switching from Mia's past and present really helped develop the characters, as well as fill in the blanks. What I mean by that is, the book began in a way where you didn't know much about any of the characters, but the backstory was expertly told in a way that wasn't boring or unnecessary. Learning more about Mia's past started to turn her into a real person. Whenever I start a book, I always see the protagonist as a 2D person, that is only liked with a bunch of words...however, as I move to the middle and end of the book, the character becomes more three-dimensional, and instead of being just words, the character turns into a real person, with organs and thoughts and feelings. This is what Forman did. However, I felt almost empty when I read it. The storyline was so intriguing, I'm not going to lie, but the dialogue and character interactions seemed a little unreal to me, and I couldn't connect with any of the characters except for Mia (I guess). The story seemed to go on and on, and I really thought there were areas of the book that could have been taken out. All in all, the book was satisfactory. What did you think of the book? Leave your opinion in the comments below - and also tell me what you would like to see on my blog!